O'Hare airport is in the midst of a major change. Federal Aviation Administration officials are in town this week to hold workshops as a new parallel east-west runway gets ready to come online. But are residents who complain of being in the flight path of the new runways getting their voices heard? Residents of the Northwest Side in neighborhoods like Norwood Park and Edison Park showed up at an FAA workshop this afternoon to voice their concerns as a new east-west runway is set to open in October. Map shows changes coming to O'Hare runways. This is the latest phase in the O’Hare Modernization Program that has seen the airport gradually shift from a set of east-west and diagonal runways, to what is expected to eventually be six east-west runways by the year 2020, with two remaining diagonal. Residents who live in the flight paths of these new or soon-to-be opened runways say their quality of life has been hindered. Others say they worry that their property values will go down as a result of the noise and believe the city should compensate them. “We pay very high taxes in this part of the city, and we have more noise pollution than anywhere else,” says resident Eileen McGing, who added that she believed today’s FAA hearing was “window dressing,” in order to create the perception that residents were being listened to. O'Hare noise complaint location and density map. An FAA spokesperson says the agency is taking every complaint into consideration, but that, after a recent environmental impact study, it has determined the project should move forward as planned. City officials have long said that the purpose of the runway reconfiguration is to maximize efficiency, take on more traffic, and reduce the delays that have plagued the airport for years. The downside is that, as the airport transitions to mostly east-west aligned runways, air traffic flows over more residential neighborhoods. 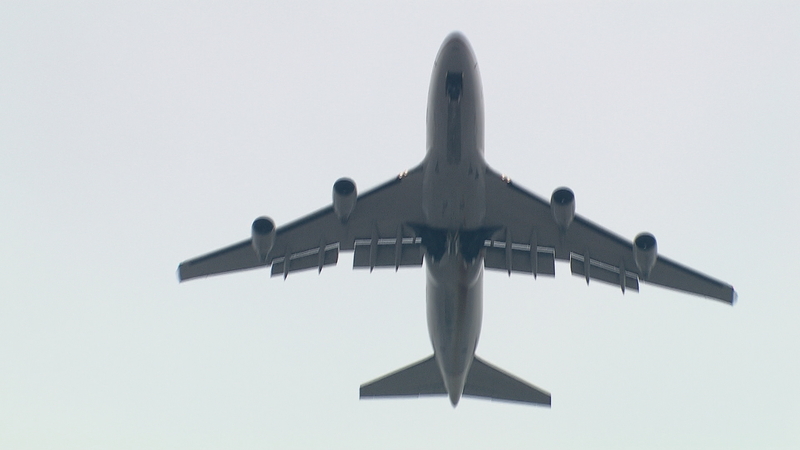 Activists like the Fair Allocation in Runways group have begged the city to keep more diagonal runways open to spread out the traffic, but a spokesperson for the FAA said that keeping open a diagonal runway that is set to close would not work as a solution. Rotating runways at night – so that the traffic is spread out – using one set of runways for a period of days or weeks, and then moving to a different set. Airspace changes in which the planes might approach at different angles – rather than using a step down approach – the plane would stay higher for longer and come down at a greater angle. Noise mitigation: The city would look to expand the zone where homes can get insulation of their homes paid for by the government, although is not yet sure which homes would qualify. “When all the runways are complete, the city will develop another noise contour and see if there are areas that were missed and need to be addressed,” said Jeanette Camacho, Executive Director of the O’Hare Noise Compatibility Commission. But the area’s alderman says the city needs to do more. The next steps: Runway 10R 28L at the south end of the airfield opens in October, the FAA reviews the city’s proposal for some noise mitigation, and residents hope there are more meetings between all parties before the next phase of runway openings and closings happens in the next 4-5 years. The FAA will hold further meetings, Wednesday at Monty's Banquets, 703 S. York Road, Bensenville; and Thursday at Belvedere Banquets, 1170 W. Devon Ave., Elk Grove Village.